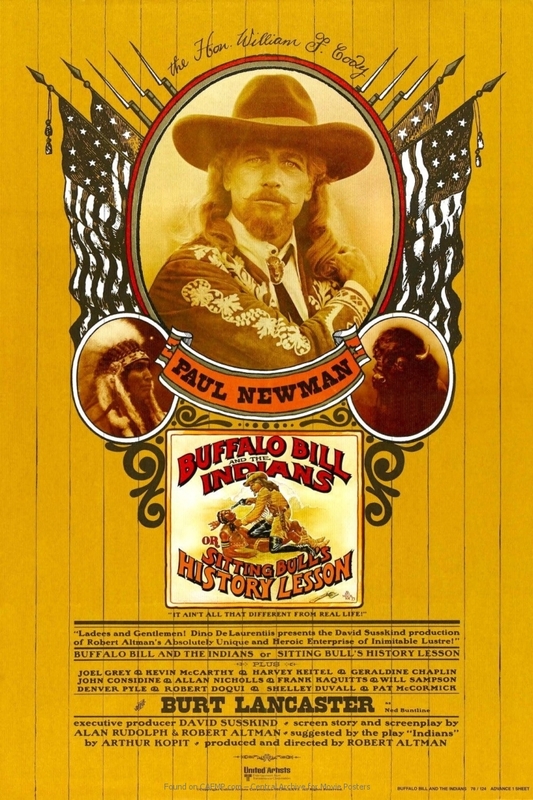 The Movie Poster »Buffalo Bill and the Indians« for the Movie »Buffalo Bill and the Indians, or Sitting Bull's History Lesson« from Director Robert Altman on CAFMP – Central Archive for Movie Posters. Poster »Buffalo Bill and the Indians« from movie »Buffalo Bill and the Indians, or Sitting Bull's History Lesson« on CAFMP - Central Archive for Movie Posters with the star Paul Newman on it. Please note: You are about to vote for the poster art, not the movie »Buffalo Bill and the Indians, or Sitting Bull's History Lesson«. This way we can publish highlights of a particular year and also present your all-time-favorites.